It is unlike anything Mamma has ever seen before! 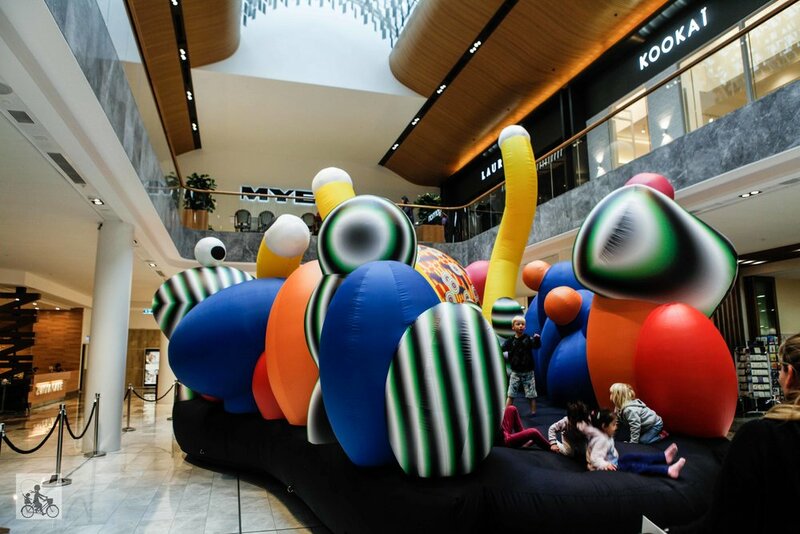 Giant inflatables have taken over Eastland and they are just set for BOUNCING! 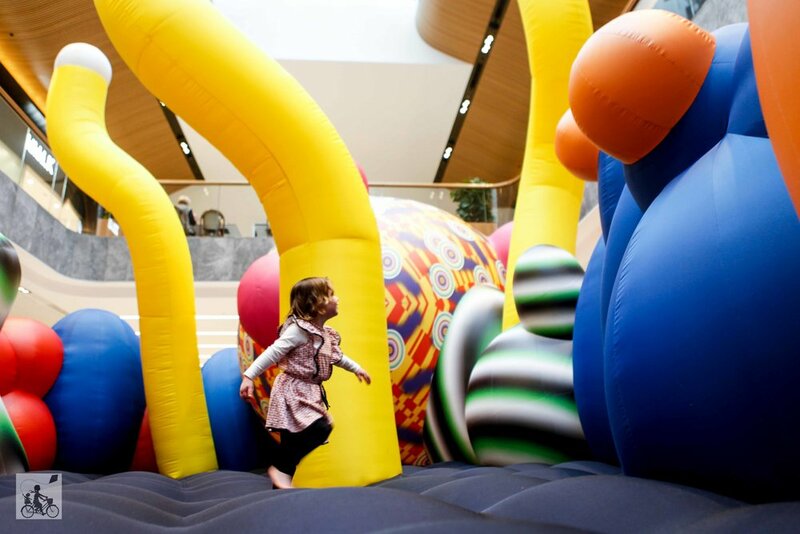 Tin & Ed, two Melbourne artists have been commissioned to take the school holiday activities NEXT LEVEL and really get the kids thinking about world beyond this one - where aliens might exist and distant worlds are a possiblity. The biggest feature is the Distant Planet piece, outside the Commonwealth Bank. This is a jumping castle from another world and has been SUPER popular all school holidays! You need to wear socks but the little ones between the ages 2 and 12 years get to have a grand old time on the art piece. The supervisors let the safe number of kids have 5 minutes or so of fun before rotating the next wave of children through. There is also a wormhole upstairs which was a little frightening (in reality it was just the fan motor that my little one didn't like) and an alien on the massive ceiling in the East Wing. On weekends you might even spot a roving alien wandering the land of the east! Mamma's special mention: If you want to see bouncy castles/art/bright fun in action head to our video here.